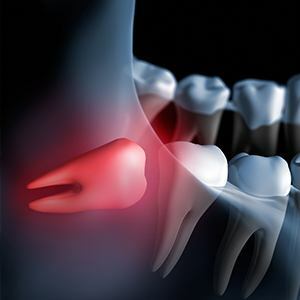 The wisdom teeth are usually the last set of molars to come in, arriving around the late teens or early twenties. Unfortunately, most people simply don’t have enough room in their mouth for these teeth, which is why they are extracted so often. If you or your child is experiencing any pain toward the back of your jaw, the wisdom teeth are likely the culprit. 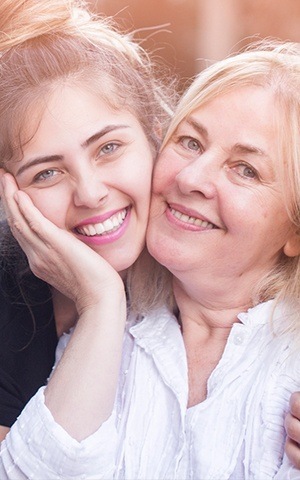 At Advanced Dental Care, we have the training and equipment to safely remove them so you can get the care you need in Costa Mesa without having to visit an expensive specialist. Why Choose Advanced Dental Care for Wisdom Teeth Extractions? Why Do We Even Have Wisdom Teeth? The wisdom teeth weren’t always such a problem. Back in ancient times, our caveman ancestors needed the extra molars in order to chew their rough diet, which consisted of mostly tough plant roots and meats. 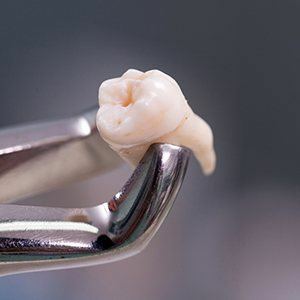 Typically, the first molars would wear out over time, and the wisdom teeth would replace them. However, as time progressed and cooking techniques advanced, food became easier to eat, and the wisdom teeth became less necessary. Over the millennia, the human jaw even shrunk, so now when the wisdom teeth try to come in, they often become stuck and need to be removed. The wisdom teeth typically become impacted, or stuck, as they try to come in simply because there isn’t a clear path for them to erupt. As a result, they end up pushing on the teeth and gum tissue, which can create consistent pain towards the back of the jaw. This can cause the teeth to try to come in crooked as well – sometimes even sideways! Left alone, they can eventually push the other teeth out of place and even develop an infection. Instead of letting this happen, we simply remove the teeth at the earliest sign of trouble.